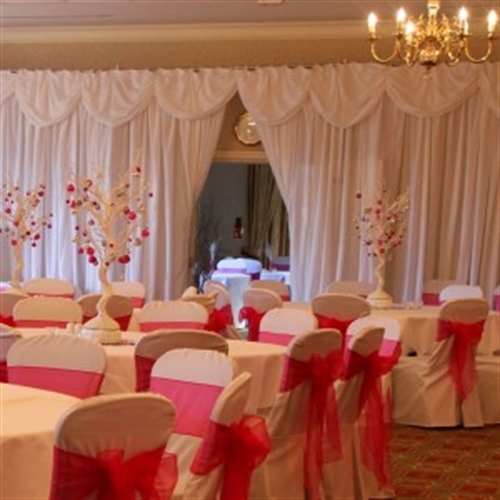 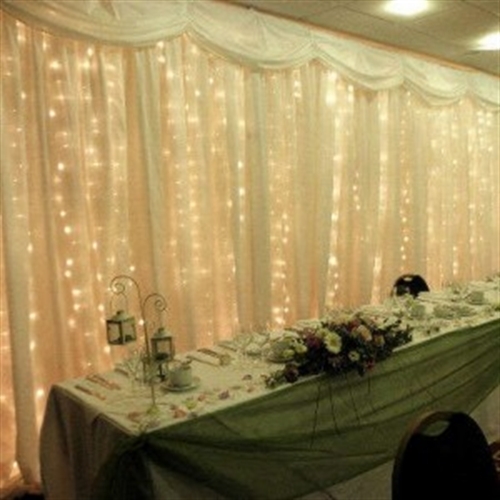 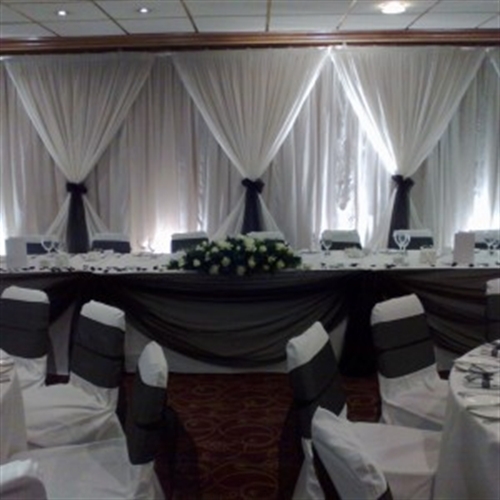 All of our starlight curtains are available in white, ivory and Black and can be matched to your colour scheme or Wedding theme. 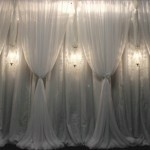 Below are several ideas available for backdrops but if you have something else in mind please do not hesitate to ask. 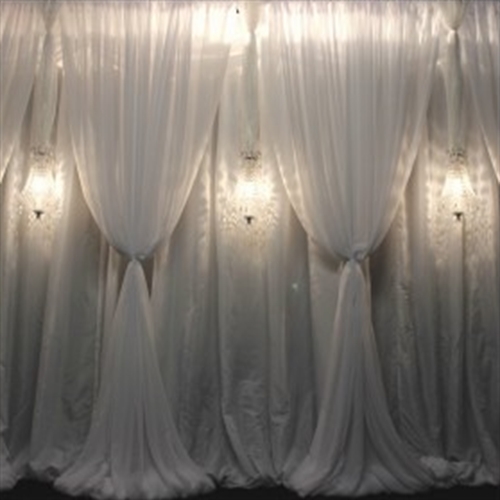 Star light curtains are available in 3m lengths. Ie 3x3m, 3x6m, 3x9m. 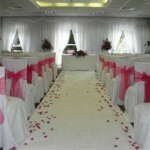 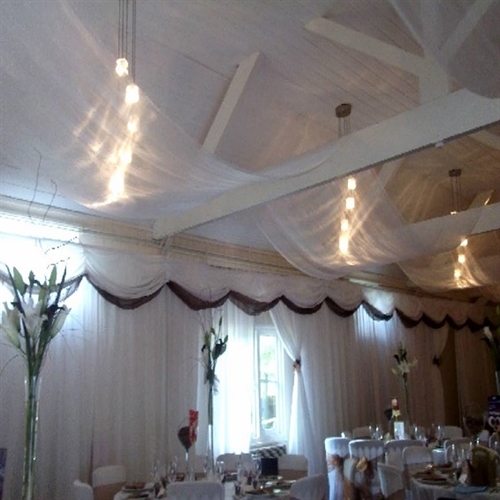 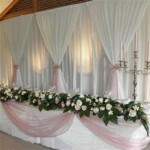 If your venue has a particular high ceiling we do also stock 4m high backdrops. 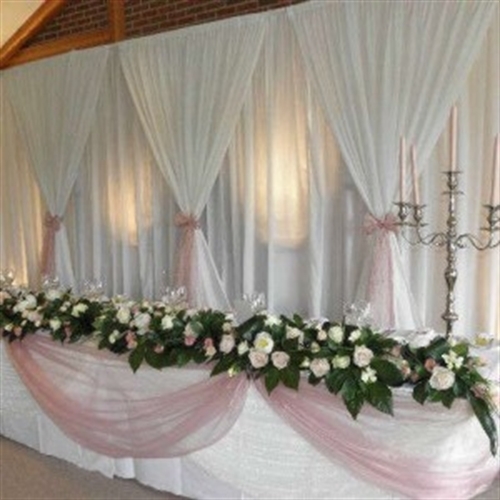 We have listed some sample prices however once we have your exact sizes and requirements we can give you an acurate price. 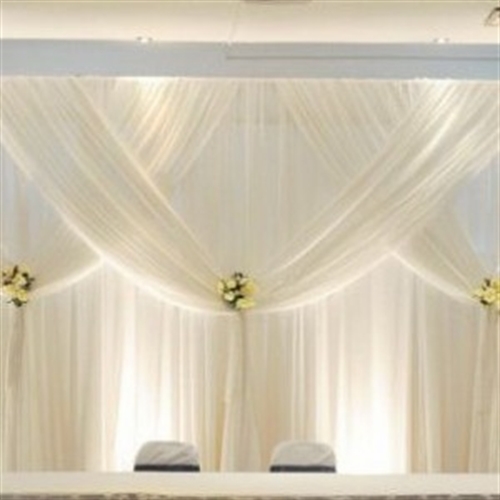 Additional £50 per 3 meter lengths.